Is toxic algae killing and stranding sea lions in California? A new study suggests that sea lions in California are at serious risk for brain damage from toxic algae in the Pacific Ocean. Sea lions are known for their cute and playful nature, but a new study released by scientists at the University of California Santa Cruz warns that they may be in big trouble. According to a Tech Times report, massive blooms of toxic algae, also known as the red tide, have been shown to lead to significant brain damage among California sea lion populations. The blooms are responsible for pushing sea lions out of the water and stranding them on the shore, leaving them with little source of food or means of mobility. The toxic algae have now spread from California all the way to the north of Washington State, putting humans and marine life alike at serious risk. The algae releases a byproduct called domoic acid, which can cause serious harm to humans and marine mammals. It bioaccumulates in filter-feeders like crabs, oysters, mussels, anchovies, and sardines, and can be toxic to the organisms that consume these critters. Domoic acid acts as a neurotoxin, and has been known to affect spatial memory. This results in sea lions becoming confused about their position, preventing them from effectively hunting and searching for food. The study which was published in the journal Science examined 30 individual sea lions that were rescued after becoming stranded on a state beach. The sea lions were given a simple maze with a food item as a reward at the end. According to Colleen Reichmuth from UCSC’s Long Marine Laboratory, the link between the area of the brain that is affected by domoic acid and the sea lions’ diminished ability to navigate a simple maze was apparent. Algae on the Pacific Coast haven’t always been a problem; scientists think that climate change may be leading to the altered ocean conditions that make such blooms possible. This may put sea lion populations at serious risk going forward. According to wildlife biologist Sharon Melin from the U.S. National Marine Fisheries Service, subsequent generations may have a rough time surviving in waters with dangerous algae levels. 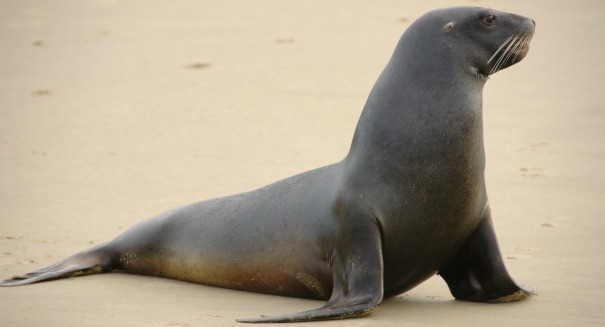 To make matters even worse, the majority of stranded sea lions on California beaches are only pups. According to the study’s lead author, Peter Cook, brain damage is a serious risk even if a pup hasn’t been exposed to domoic acid – its mother can pass on the harmful effects. “When you see an underfed but otherwise healthy pup, you assume something happened to the mother. We suspect that what happened is that the food was moving around, it was less predictable,” Cook said. A press release from UCSC describing the study can be found here.